Juventus Football Club finally managed to regain the European Cup trophy after 11 years, winning the.. This Juventus retro shirt 2003-2004 with Fastweb sponsore was used of players like: Del Pierro, Thur.. 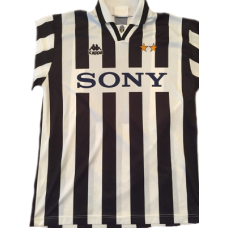 This Zidane Juventus shirt home with number 21 and long sleeve 1998-1999 is an original football shi..